Children have a right to health-protecting vaccines, despite what anti-vaccination activists argue and ill-advised parents might decide. This spring’s violence in Parkland, Florida, cast a spotlight on the rights of children and adolescents deserving protection. But in recent weeks we have also learned about another major lapse in child protection. Failing to take children’s well-being seriously is causing increases in deaths and serious illnesses from vaccine-preventable diseases. The Centers for Disease Control and Prevention report that at least 97 children in the United States died from influenza during this flu season. Even though the influenza vaccine helps protect children from dying, most deaths this season occurred in unvaccinated children. Measles is a terrible disease that causes severe pneumonia and encephalitis, and often requires expensive hospitalization. The World Health Organization just issued a chilling report on the rapid rise of measles outbreaks across Europe due to steep declines in vaccine coverage. Last year there were more than 21,000 measles cases and 35 deaths — with more than 5,000 cases each in Romania, Ukraine and Italy. Arthur L. Caplan, Ph.D., is professor and head of the Division of Medical Ethics at the School of Medicine at New York University. 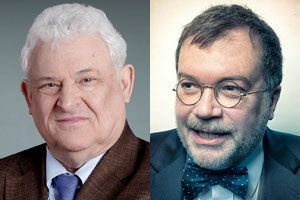 Peter J. Hotez, M.D., Ph.D., is professor and dean of the National School of Tropical Medicine at Baylor College of Medicine, and director of the Texas Children’s Hospital Center for Vaccine Development. In an age of air travel, this puts every unvaccinated American child at risk. So far in 2018, measles cases and outbreaks have occurred in California, Kansas and New York. Significant epidemics are becoming an annual occurrence in the U.S. Several states and cities are especially vulnerable to measles because of high rates of children not receiving their vaccines. In Texas, more than 50,000 children currently receive nonmedical exemptions, with some schools having up to 30-40 percent of their children not vaccinated. Our studies and previous reports from The Seattle Times find that Seattle also stands out as a city where large numbers of children are not receiving vaccines, while Washington state hosts several counties where more than 10 percent of the K-12 students are exempted from vaccinations. A major reason for the declines in vaccine coverage and the commensurate rise in childhood infections and deaths is public misperceptions about vaccines and their alleged links to autism. 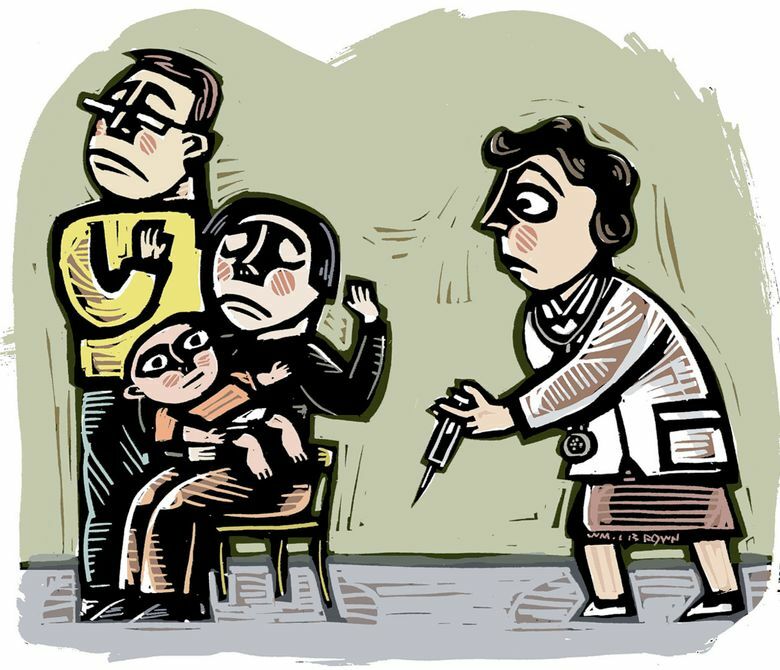 Even though there is overwhelming evidence that vaccines do not and cannot cause autism, many parents are withholding or delaying pediatric vaccines. Fueling the rise in vaccine refusal are well-organized anti-vaccine groups that promote misinformation and lies about vaccines. In 2017, parents in the Somali immigrant communities in Minneapolis-St. Paul were told that vaccines cause autism. As a result, a large measles outbreak landed more than 20 children in the hospital. How did we get into this quagmire? Faulty ethical thinking is to blame. We are elevating parents’ rights to make misinformed decisions over the rights of children to get important vaccines. Infants and young children are blocked from receiving their routine childhood immunizations by parents who espouse an aberrant ideology of choice or are being duped by anti-vaccine groups. In so doing, they are violating children’s rights to health, welfare and equal opportunity. Children in the U.S. are afforded the right of protection against abuse and neglect. They have a constitutional right to equal opportunity. But the major instigators of vaccine refusal are running roughshod over these rights. They are attacking vaccination with the rhetoric of parental “medical freedom” or “vaccine choice.” They are, incredibly, putting poor parental choice ahead of child welfare. They are also writing off the lives of kids who can’t receive some vaccines due to certain health issues (e.g., cancer, immune deficiencies, transplants) whose only hope is that other children will be vaccinated so as not to infect them. Arguments about medical freedom and choice are at odds with the human and constitutional rights of children. When parents won’t protect them, governments must. It is time for politicians to stop the preventable deaths, disabilities and illness that babies and children suffer when ill-informed choice trumps scientific and medical fact. Children have the right not to suffer from measles, mumps, flu, cervical cancer, whooping cough and other infectious diseases. Their rights must guide public policy.